The Beer and Blockchain Club is an exciting way to connect people, from the early adopter to the blockchain curious, over a refreshing pint of German Kraft beer. We hold events on the last Wednesday of the month starting January 2019. The club is founded upon principles of inclusivity, generosity, and collaboration. Inclusivity: We encourage diversity in thought, experience, and background. Generosity: We use our skills to help out fellow members and offer introductions. Collaboration: We nourish synergy and innovation among members. These events present a platform to network and share ideas. There will be opportunity to collaborate, synergize, and explore an open forum of how the token economy is ushering in a new era of funding opportunities and challenges. We are sponsored by the Craft Coin Company, an exciting new venture that is catapulting the global craft beer movement with a beer republic built on blockchain. Sign up for our event! Our events are held in the glasshaus of German Kraft Brewing Ltd., an exciting space based within the sustainable Mercato Metropolitano! Sponsored by the Craft Coin Company! Stay connected and informed about future events and projects - join our mailing list! Thank you, we look forward to hearing your thoughts and hopefully meeting you soon! 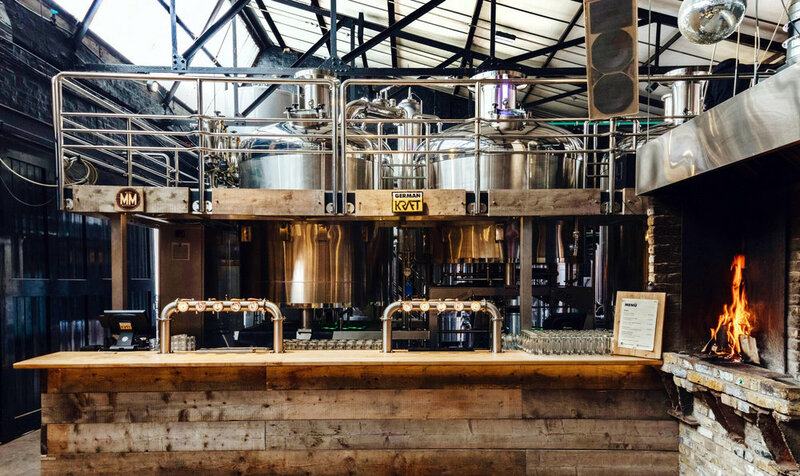 We can’t wait to talk blockchain over a pint of fresh beer! See you then.